It's a sad day for the wine world. Below is the entire official press release. Anything less would have been an injustice to a man who introduced many of us to the world of fine wine. Oakville, Calif.—Robert Mondavi of Napa Valley, the founder of the modern US fine wine industry and a global symbol of American wine and food, died today. He was 94. The Mondavi family stated that the legendary vintner died peacefully at his home in Napa Valley. Robert Mondavi changed the landscape of the US wine industry when he founded his eponymous winery in 1966, inspired by his belief that he could produce world-class wines in Napa Valley. Since that time, the Robert Mondavi Winery has become known as one of the world's leading innovators, producers and marketers of fine wine, firmly establishing America’s rightful place on the world wine stage. Born in Virginia, Minnesota, to parents who emigrated from Sassoferrato in the Marche region of Italy, Robert was greatly influenced by Old World traditions of the pleasures of wine and food. The family moved to Lodi, California, during Prohibition and he attended public schools there. A 1936 graduate of Stanford with a degree in economics and business administration, Robert understood that marketing was as critical as winemaking expertise in achieving success in the wine industry. He joined his father at Sunnyhill Winery in St. Helena, a bulk wine producer. 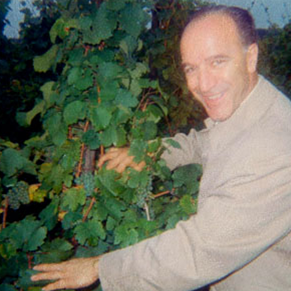 After convincing his father to purchase the Charles Krug Winery there, he upgraded the technology, determined to raise quality—a commitment which never faltered. He began to offer public tours and tastings in the 1950s, something unheard of in Napa Valley, and not even done in the established wineries of France. In 1966, at age 53, he established the Robert Mondavi Winery, the first major winery built in Napa Valley since the 1933 Repeal of Prohibition. Robert hired architectural designer Cliff May for his fledgling winery, which he intended as an enduring landmark to California history, reflecting this in its iconic, mission-style architecture. Using an architect was already enough to raise the eyebrows of locals, but to their amazement, Robert also included public spaces for education and entertainment, which completely bewildered his neighbors. At his winery, Robert pioneered many fine winemaking techniques in California, including cold fermentation, stainless steel tanks and the use of French oak barrels. As a marketing leader, he initiated blind tastings of Napa Valley wines with other world-class wines, allowing consumers and the trade to evaluate wine quality and value. By the l970s, Robert Mondavi wines were recognized for their quality internationally, and California’s fine wine industry benefited from Robert’s pioneering work in the export market. Dedicated to fostering a wine culture in America, Robert also expanded his educational tours and wine tastings. Under his tutelage, and with his wife Margrit, for four decades the winery has celebrated the pleasures of wine, food and the arts; and provided creative settings for jazz and classical concerts, art exhibits and comprehensive cultural and culinary programs including the Great Chefs program, which has featured such luminaries as Julia Child, Paul Bocuse, Alice Waters and Joel Robuchon. Never one to rest on his laurels, in l979, Robert joined forces with Baron Philippe de Rothschild, creating the Opus One Winery in Oakville. An immediate international success, Opus One created a world sales record for California with a $24,000 case price at the first Napa Valley Wine Auction. He and his wife, Margrit, were among the founding members of that auction, which is now recognized as the major wine auction in the U.S. Firmly committed to the everyday enjoyment of wine and food, Robert wanted to see a bottle of wine on every American table. To that end, in 1979 Robert bought a winemaking cooperative that he named Woodbridge, after a nearby town. Innovations at Woodbridge included the first value-priced US wines with barrel aging; traditional cork finishing; a gentle, direct-to-press method for white wines; the first US premium varietal wines with vintage dating; and the first winery to operate Quality Enhancement Teams with a "small lot" program, through which grapes are kept individual vineyard lots during fermentation. Robert further expanded his horizons through international partnerships with the Frescobaldi family in Italy and Eduardo Chadwick of Viña Errazuríz in Chile. During the late l980s, Robert launched the Mission Program to counteract anti-alcohol campaigns that were gathering force around the world. The Mission educated media, trade and consumers about the cultural and health benefits of moderate wine consumption. This program was the stimulus for CBS' "60 Minutes" program on wine and health, which changed America's view of wine. In 1994, Robert introduced Robert Mondavi Private Selection, a line of high quality, affordable fine wines that reflect the distinctive vineyards of California’s Central and North Coast appellations. In recent years, Robert was a major benefactor of cultural and educational institutions. COPIA: The American Center for Wine, Food and the Arts, a world-class pioneering cultural center, opened in 2001. With a history of extraordinary contributions to California's wine industry, Robert and his wife made a substantial personal gift in 2001 to the University of California, Davis to establish the Robert Mondavi Institute for Wine and Food Science and to name the campus' new Center for the Performing Arts, which opened in 2002. He also made significant gifts to the Oxbow School and the Cantor Center of the Arts at Stanford University. An uncompromising perfectionist, Robert believed that if you wish to succeed, "...you must listen to yourself, to your own heart, and have the courage to go your own way." These and other lessons from his life are the subject of his autobiography, "Harvests of Joy," published in l998 by Harcourt, Brace & Company. He was honored by countless national and international institutions, including France's Legion of Honor (2005), the government of Italy and many U.S. institutions including being the first "Pioneer" inductee in the founding year of the Culinary Institute of America’s Vintners Hall of Fame in 2006. In August 2007, Governor Arnold Schwarzenegger announced Robert Mondavi’s induction into the California Hall of Fame at The California Museum for History, Women and the Arts. Robert remained an active ambassador for the winery until his death. While services will be private, a remembrance book will be available in Le Marche, the winery’s visitor center, and at the visitor center of Woodbridge winery in Lodi, CA for the next four weeks for anyone wishing to share a message or condolence. The books will be given to the Mondavi family. In addition to his wife, Margrit Biever Mondavi, Robert Mondavi leaves three children, Michael, Marcia and Timothy; nine grandchildren; and his brother, Peter. In lieu of flowers, the family suggests donations to COPIA; the University of California at Davis; The Oxbow School; and Stanford University. Richard Sands, chairman, Constellation Brands, Inc., remembers Robert Mondavi’s contributions. "Robert Mondavi was unique in a very special way. He had a vision about the potential for developing great California wines. Robert was a pioneer who acted on his vision and was both passionate and relentless in his pursuit of ever-better wines, especially from the Napa Valley. He championed the marriage of fine wine, excellent food, arts and culture, and relationships that enrich lives. He was an inspiration and he will be greatly missed. Robert’s passing leaves a void in the world of wine which can never be filled. Our hearts and our thoughts are with the Mondavi family." Rob Sands, president and chief executive officer, Constellation Brands, Inc., adds "Robert’s longevity allowed him to influence generations of winemakers and wine consumers around the world. We are proud and privileged to have known the father of contemporary California wine, someone whose influence spans the globe and is timeless. His contributions to viticulture, viniculture and Constellation Brands are immeasurable. Robert’s desire, and his legacy, was to fill peoples’ wine glasses while filling their hearts and souls. I believe he succeeded on all counts. The Robert Mondavi Winery in the Napa Valley will serve as a lasting reminder of all which he stood for, and we will do our best to uphold Robert’s quest for perfection in wine. He served as chairman emeritus of The Robert Mondavi Corporation after it was acquired by Constellation Brands in December 2004."